We are happy to meet you again in this weekly best selling WP theme review series. In our previous post, we have already walked through the Sweet Date theme. And after having sweet datings, you would take one step closer to the “wedding”. That is the reason why the WordPress wedding theme – Wedding Suite from Webnus is brought into the review today. Even if you are finding a beautiful template for your own wedding or you are a service provider, this theme surely will satisfy you. So, let’s dig down to understand why I say so? The Wedding Suite contains 4 homepage demos for wedding organizer: Orchid, Jasmine, Rose and Violet and one for wedding planner. The thing made me impressed is all demos are beautiful and have quite different front-end styles for your interest. In this review, the Rose demo is taken because I love its elegance with light sans-serif font, full-screen slider and simple outline icon of countdown clock. The process of installing Wedding Suite is very easy to follow by the one-click installation. This WordPress wedding theme uses a pack of eight free and premium plugins including: Contact Form 7, Envato WordPress Toolkit, Essential Grid, LayerSlider WP, Revolution Slider, Templatera, WooCommerce, WPBakery Visual Composer to make full functionalities and save your money. They are all very popular plugins, friendly UX and simple to use. However, if you feel hard to use, then a very detailed User Guide is included for you to go through and master the theme. 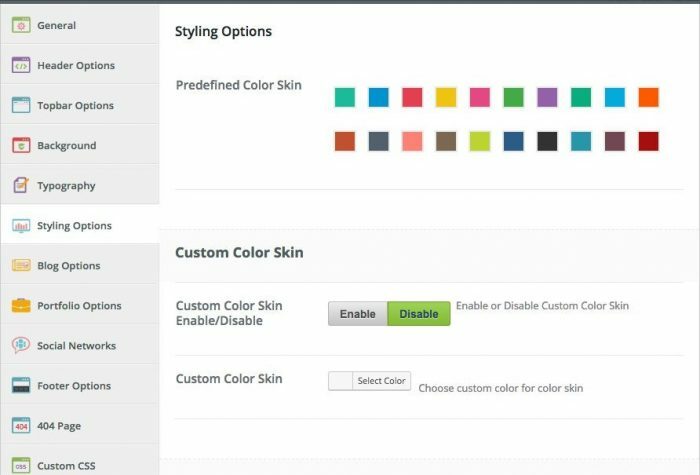 The process of importing demo data is quite buggy cos you might mistake the import/export option in the “theme option” with the “Importer+” menu in the WordPress sidebar menu. So, remember to run through the “Importer+” options to import all demo data before you go into the “theme option”. Wedding Suite comes with a very friendly theme option which allows you to change every element in the front page as the screenshot below. 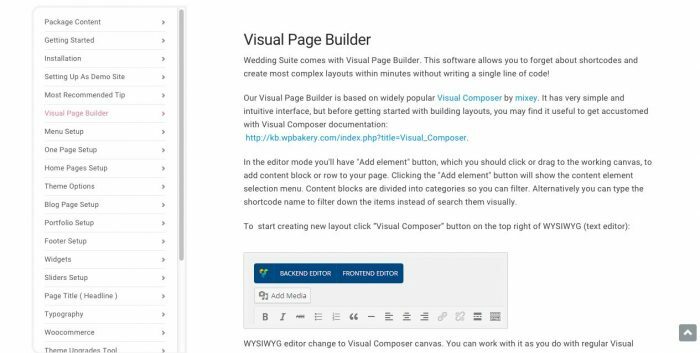 I personally love the Essential Grid plugin a lot because it allows me to create very fascinating portfolio site and is seamlessly integrated with the Wedding Suite. From here, everything displayed in front-site from grid, image to animation can be controlled easily. 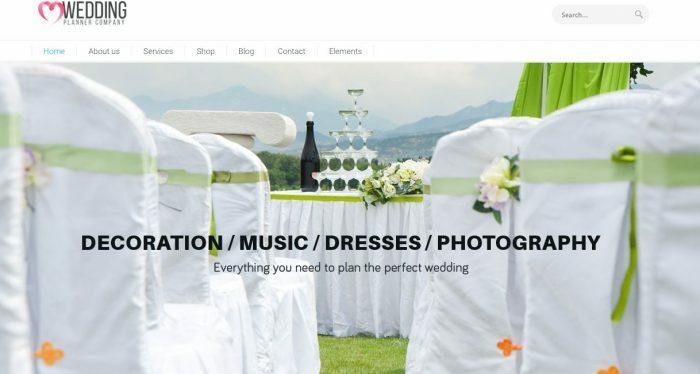 More than that, this wedding WordPress theme also can be translated into other languages including: France, Spain, Portugal, Argentina, Germany, Italy and Russia for you to localize your website or making a multiple language site. Beside all the wonderful features and design which I have mentioned above, Webnus also provides great support service in case you bump into unexpected bugs but the user guide can not help. Wedding is a very important event in everyone’s life and a wedding site absolutely will help you save this great moment and make it even more memorable. 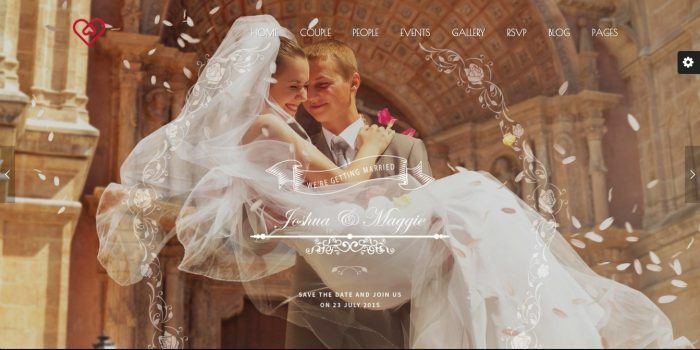 The Wedding Suite theme definitely is a right choice to make such website. Why don’t you check it out?